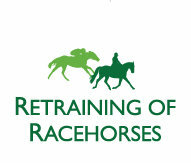 In 2013 Bookham Riding Club were very excited to announce that we were going to be one of the first Riding Clubs to hold the RoR Riding Club Challenge in association with the Retraining of Racehorses as well as being a ‘Signing venue’ for the RoR Regional League. 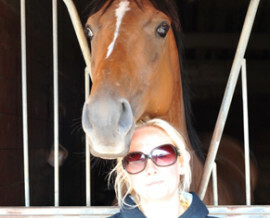 Pippa, the wife of Epsom trainer Jim Boyle, is at the heart of the yard’s successful rehoming programme. As well as putting on demos and clinics, she is at many competitions to support and follow the progress of their retrained racehorses. Pippa has worked in the racing industry for over 20 years, and has been around horses all her life. She has tried every discipline except Polo but she’s hoping to try her hand at that this year! Open to all, each show* held by Bookham RC will give all RoR registered ex racehorses the opportunity to compete in this exciting new challenge. Our shows will give you the chance to collect points on the day with the aim of winning the RoR Riding Club Challenge rosette at the end of each event. BRC Members & non members welcome. To be eligible your horse must have raced in Great Britain. You must register with the RoR who will supply you with a registration number. This number must be produced on your entry form or on the day of the show to the show secretary. Each class entered will earn one point. The winner will be the horse and rider combination gaining the most points. We will endeavour to announce the result on the day of the show. To ensure we give the correct result at busy events, the result may be announced the next day once points confirmed. Points will only be awarded if you are RoR registered on the day of the show and points cannot be awarded retrospectively. In the event of all eligible competitors being unplaced in a class, the highest % will gain 7 points and so on. Collective marks will be used if required to arrange placings,points and so on. Collective marks will be used if required to arrange placings. Bookham RC will be an official ‘signing venue’, so don’t forget to bring your qualification sheet with you so your scores can be verified and signed by the show secretary. The majority of our shows will be applicable so look out for details within our omnibus schedule. BRC Members & non members welcome. *Some of our events will not be eligible and these events will not have the RoR logo by them within our schedule.